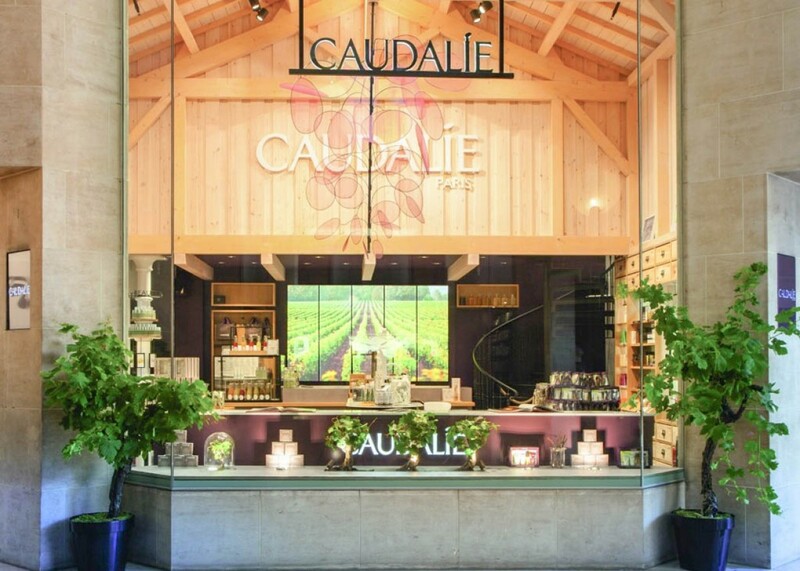 Caudalíe is a wonder in ecological skin care, inspired by the family-owned vineyard in Bordeaux, France. The legend started when Mathilde Thomas met Professor Joseph Vercauteren in 1993, who was a specialist in Polyphenols, and they dug out the treasure in grape seeds. 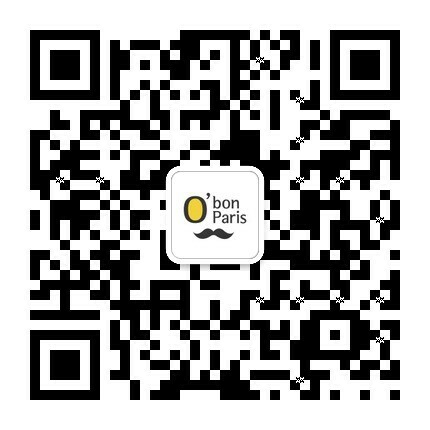 The product line has been developed from 2 face creams singly based on Polyphenols to various collections of anti-aging skin care, body care, perfume and sun protection. 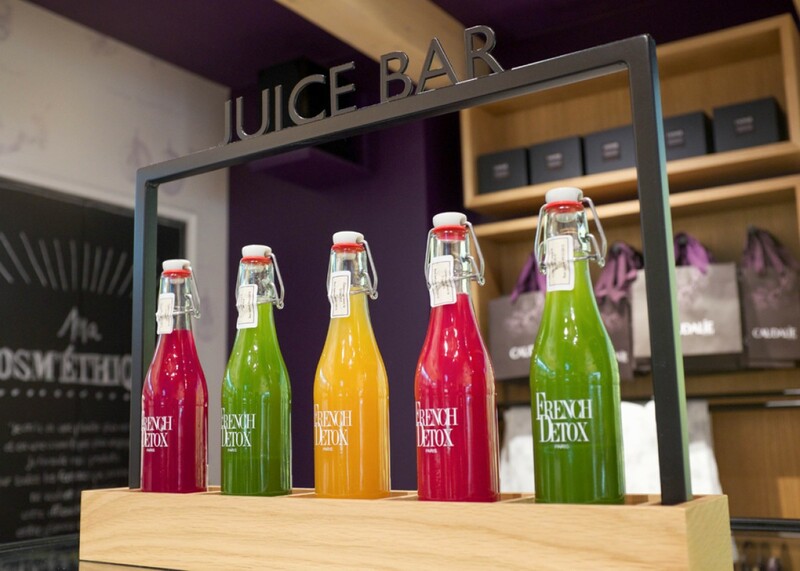 The brand has been distributed around the world within 3 Caudalíe patents, Resveratrol, Viniferine and Polyphenols. 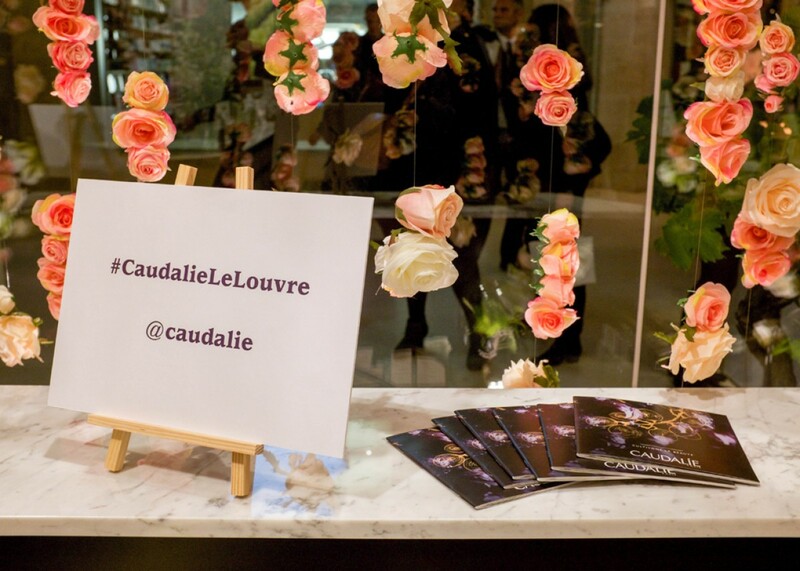 'Set deep within the vines, the Les Sources de Caudalie Spa is a treasure-trove of our products', the first Vinothérapie spa was created in 1999 after Mathilde Thomas discovered hot spring at Château Smith Haut Lafitte, where your body could get all the exclusive treatments using pure products in a heavenly environment. 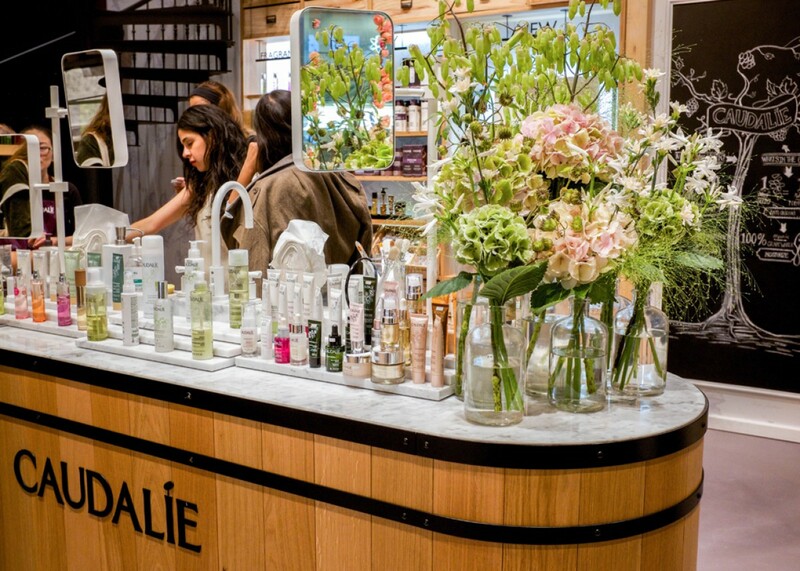 Now Caudalíe has brought this treatment and tranquility to the Carrousel du Louvre, near the emblematic upside-down Pyramid, which is built by the french carpenter to show the respect for brand origin. The interior decoration well reflects the personal style of Mathilde Thomas and her brand concept. The flat screen displaying the image of grapevines of Bordeaux is eye-catching, making you feel like trolling down the vineyard and smelling the fragrance of ripping fruits. Your skin wants to breath with the raw wood which is the dominant material in the deco. 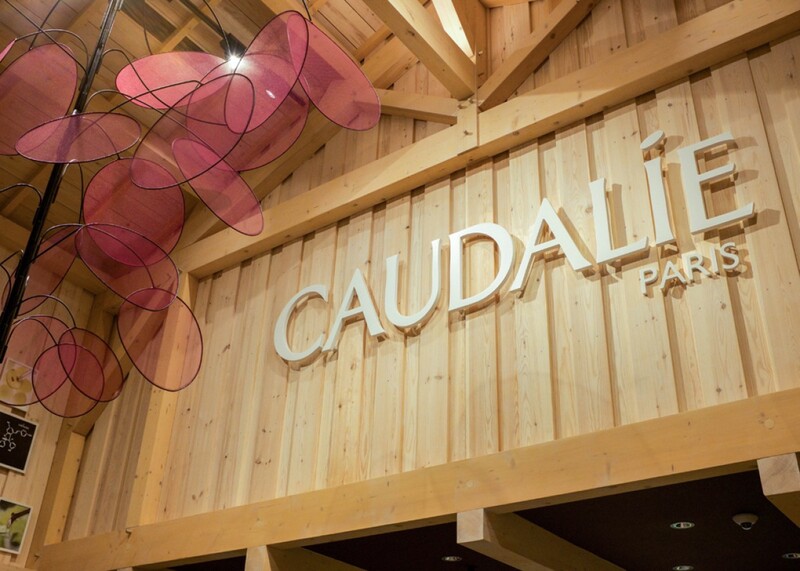 An artistic piece of grape sculpture is floating in the air , embracing you to the world of Caudalíe. 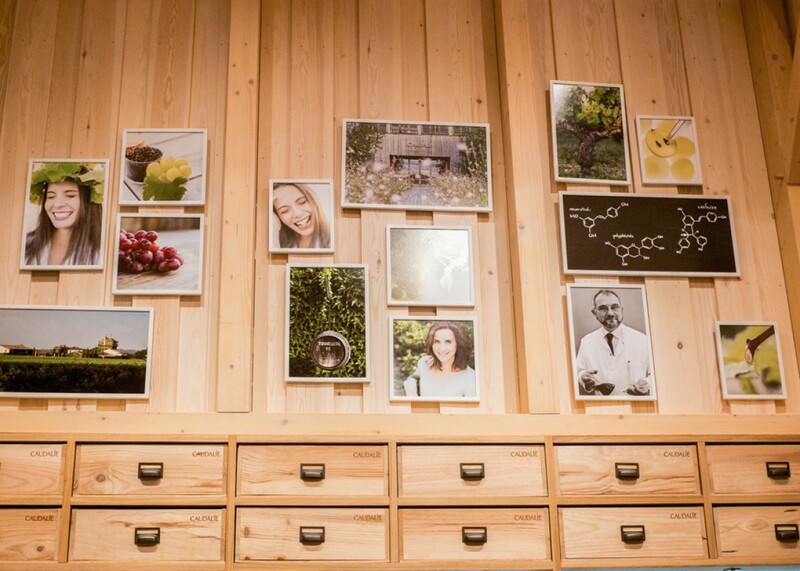 Together with one of the brand's best sellers, grape water, photos are on display telling the old history of Caudalíe as well as its scientific discovery from raw plants. 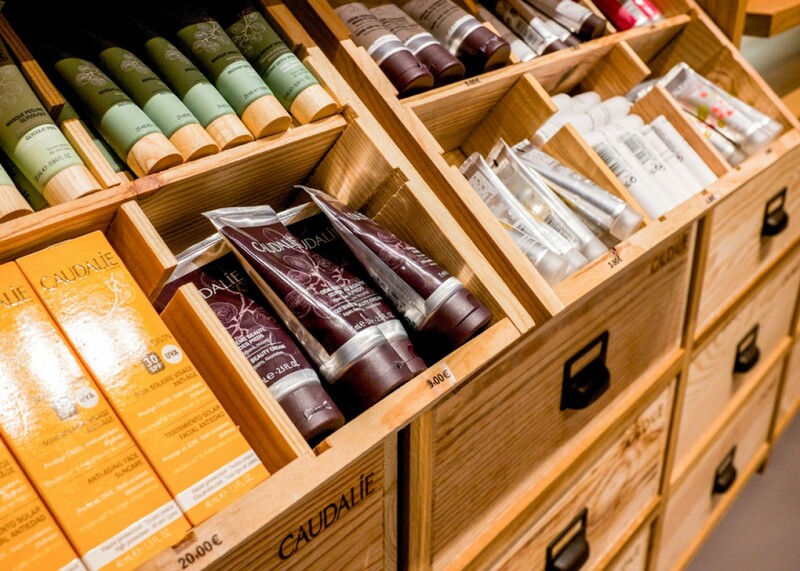 In the centre, the beauty barrel bar allows you to discover all the products yourself. If you're confused or curious, don't hesitate to ask Vinotherapist for help, you're more than welcome! The " Instant Beauty Flash Facial"